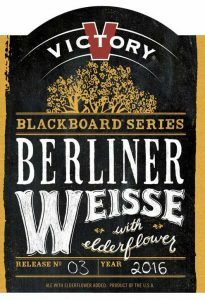 DOWNINGTOWN — Victory Brewing Company (Victory) announces a refreshing Berliner Weisse with Elderflower as part of its creative Blackboard Series that unifies craft beer with market-fresh culinary inspirations similar to specials found on a blackboard in restaurants. The series, alternates innovative creations every three months, encouraging craft beer fans to taste what the brewers are cooking up with fresh and surprising ingredients. The third special in the series, a Berliner Weisse with Elderflower, is a hazy tart wheat ale brewed with Hallertauer Hallertau hops and features woody, spicy and vanilla notes over a floral, mildly sweet finish. Available from July through December, Berliner Weisse with Elderflower can be purchased throughout Victory’s 37-state distribution footprint for a suggested retail price of $9.99 for a 4-pack of 12 oz. bottles. The first beer of the series, Agave IPA with Grapefruit, was introduced in January and was brewed with four variations of American hops that produced a delicious brew with a light citric bite, strong and bitter aromas against sweet agave and seasonal grapefruit character. Following Agave IPA, the second beer of the series was a Dry-Hopped Brett Pils embracing spicy aromas with a bit of Brettanomyces funk in the form of a hop heavy draft available April to June. Following the Berliner Weisse, the series will wrap with the introduction of a smoothly alluring Oatmeal Porter with Hazelnut available in draft from October through December. 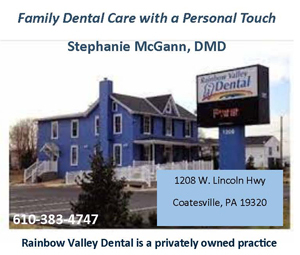 All three Victory Brewpubs – Downingtown, Kennett Square and Parkesburg, PA, serve complementing culinary creations perfectly suited to each distinct brew in the spirit of celebrating and fostering the creativity and ingenuity of the kitchen and the brew kettle. While Victory will always serve their popular, hop-forward brands and equally delicious fare, they know this series will continue to excite the palates of craft beer and brewpub fans alike. Use Victory’s Beerfinder to discover a nearby location, or download the free Victory Mobile app for Android or iPhone.